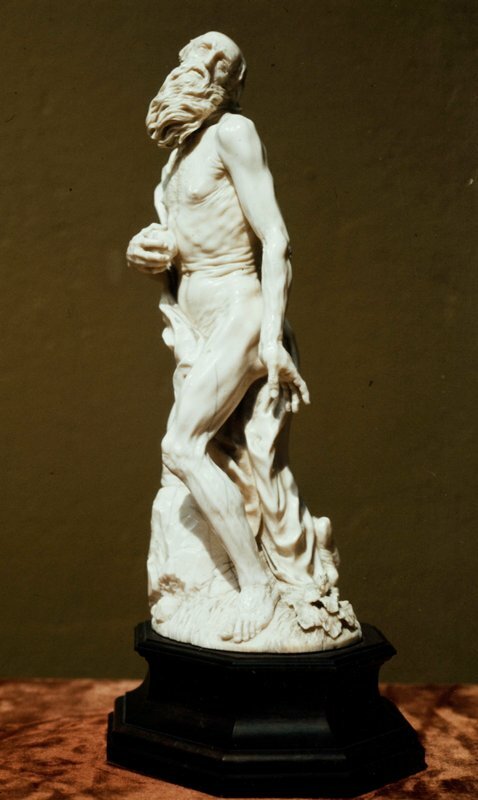 Through exercise, intense bouts of prayer, and renunciation of food and worldly comforts, Saint Jerome reduced himself to wiry muscle—the perfect subject for an artist keen on demonstrating his mastery of human anatomy. His skin stretches over his ribs and his muscles seem almost transparent, as in a medical model. Lenckhardt carved the saint from elephant ivory, which was admired for its similarity to human flesh (as was not a restricted material then, as it is today), to help bring the figure virtually to life.